Jeep entered India with their premium SUV range but it was the Compass that made everyone take notice of the automobile brand. 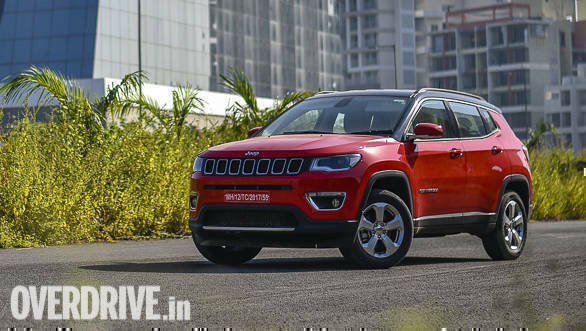 With a flagship-inspired design, feature rich cabin and a host of off-road tech, the Jeep Compass has emerged as a more popular offering amongst its rivals. Needless to say, it is the Compass diesel that has been getting those strong numbers. However, there is also the Compass petrol that seems to tick the right boxes, at least on paper. How good is it in real world conditions? The Jeep Compass is a handsome SUV that comes with just the right amount of muscle. It is the front profile that scores highly especially with the iconic seven-slat radiator grille and the sleek headlights, both of which remind closely of its elder sibling, the Grand Cherokee. While the front profile gets sufficient aggression, the side and the rear profiles are comparatively mild in design. The squared wheel arches, that is a Jeep trait, also adds to the functionality bit. The Jeep Compass petrol, like the diesel, comes with 225/60 R17 tyres on the top-spec Limited variant. Overall, the styling of the Jeep Compass is one of its strongest highlights. The cabin of the Jeep Compass might look compact but it is reasonably spacious. The knee room, for both row occupants, is generous. It is the headroom and the shoulder room, that we believe could have been better, especially for taller occupants. 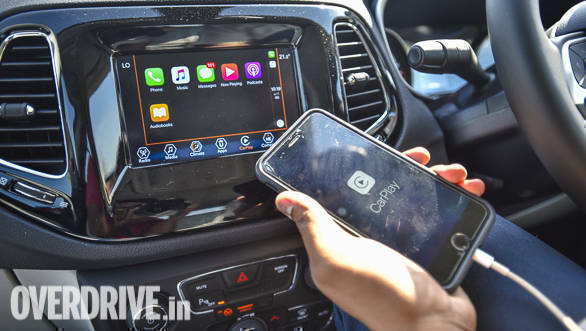 The Limited variant comes with 7-inch touchscreen infotainment system with CarPlay and Android Auto connectivity. While the interface of this unit simple, it has a slight lag which can be felt during shuffling through different options. However, the look and feel of the plastics and other bits in the cabin is truly upmarket and premium. This can be see with the leather wrapped steering wheel with brushed aluminium detailing, piano black surround around the AC vents and the central unit and the soft touch buttons. The Jeep Compass petrol comes with a 1.4-litre Multiair engine that makes 163PS at 5,500rpm and generates 250Nm at 2,500 to 4,000 rpm. These numbers are lower than what you get in the 2.0-litre diesel that produces 173PS/250Nm. The Compass petrol comes with a 6-speed manual transmission as standard along with an optional 7-speed automatic. The petrol unit has a fairly audible note at idling speeds, that reminds me of the unit in the Abarth Punto. It is a free-revving unit but does feel sluggish at lower engine speeds. However, as its crosses 2,000rpm, the motor feels more confident and is in its true element in the mid-range section. Even the exhaust note gets a tad sportier in this range. On highways, the engine doesn't take much effort to reach higher speeds and can effortlessly cruise at 100kmph at a lower 1,800rpm. 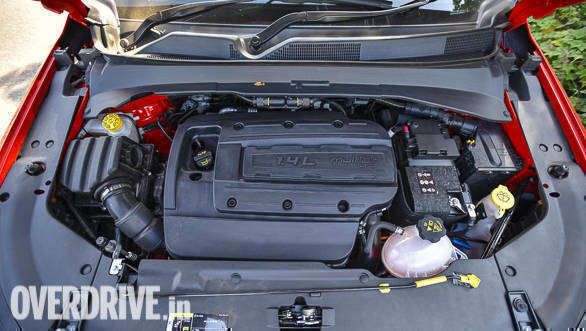 The torque rating is lower than the diesel but feels as strong till the cut off at 6,500rpm. 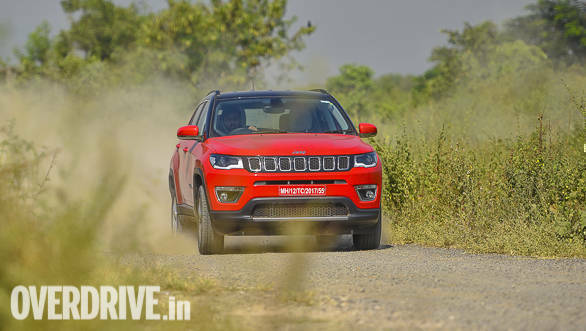 In our test, the Jeep Compass petrol managed to do a 0 to 100kmph run in 10.5s. The seven-speed dual clutch transmission in the Jeep Compass is a decent unit. Had Jeep offered paddle shifters, the shift experience could have been better. The 7-speed unit is not very responsive at lower engine speeds, however the kick down at higher speeds is instantaneous. This, we believe, has been done to offer better fuel efficiency. The Compass petrol delivered 8.44kmpl in the city and 13.63km on the highways. Unlike the diesel, the Jeep Compass is solely offered as a front-wheel drive SUV. And that is the reason there is a fair amount of torque steer which you would not detect in the all-wheel drive offering. The Compass comes equipped with MacPherson strut and independent multi-link suspension in the rear. The ride quality does feel stiff in the city but it gets better on highways with a more planted feel. Drive the Compass over undulations and bad sections, and that is where you experience the amazing suspension of this SUV. Even at higher speeds, the Compass holds on to the roads with great confidence and offers negligible body roll. This is also aided by all-disc brakes that can bring the Compass to a standstill, during an emergency situation, without any drama. 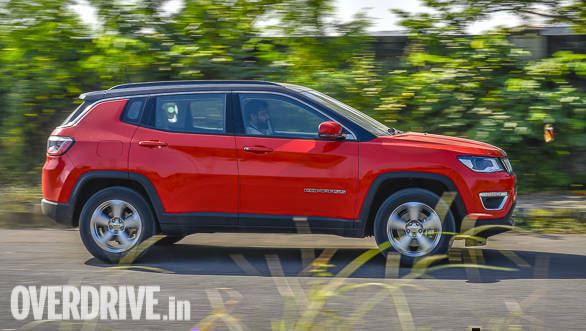 The Compass petrol will appeal to those looking for a SUV to chart the city primarily along with an occasional dash on the highway. 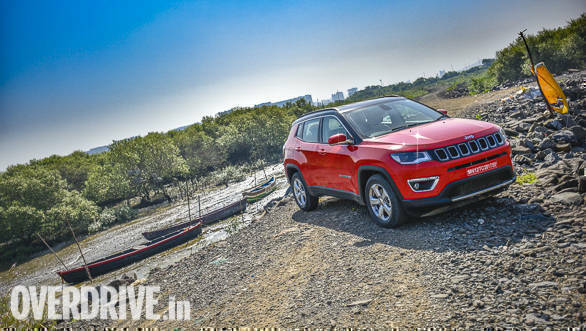 The top-spec Jeep Compass petrol prices start at Rs 17.88 lakh and go all the way to Rs 23.15 lakh (all prices, on-road, Mumbai). The top-spec Limited variant gets bi-xenon headlamps, dual-zone climate control, six airbags, traction control, hill-start assist, cornering and adaptive brake lights. However, this one too misses on some of the important features like cruise control, auto headlamp and auto wipers. 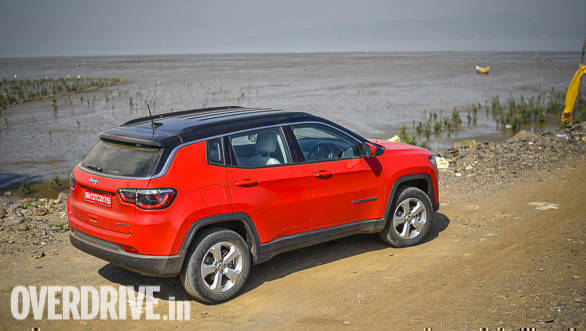 Jeep has already raked in more than 10,000 bookings of the Compass since its launch in India. The company is also ramping up its dealership network to 60 by the end of the year. It is also a matter of time that the brand can win the trust of its customers and emerge as an overall winner.